Does this describe you? While you are on a teleconference call you are writing up your quarterly report, checking your email, and texting your friend about where you are meeting for lunch. You would say that you are good at multi-tasking, right? You might want to re-think your strategy. 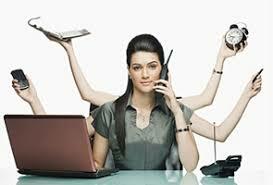 Recent estimates are that you can lose up to 40% of your productivity if you multi-task.